Srinagar : April 4, 2016 will write history as PDP President Mehbooba Mufti will become first woman to be sworn-in as Chief Minister of India’s Jammu and Kashmir. PDP and its alliance partner Bharatiya Janata Party have also conveyed the mutually decided date of swearing-in ceremony to state Governor N N Vohra. The date for the oath ceremony of the new cabinet was decided after deliberations between the leadership of both the parties. Bharatiya Janata Party and PDP had jointly claimed stakes to form government in the state on March 25, two days after Mehbooba was elected as PDP's legislature party leader. 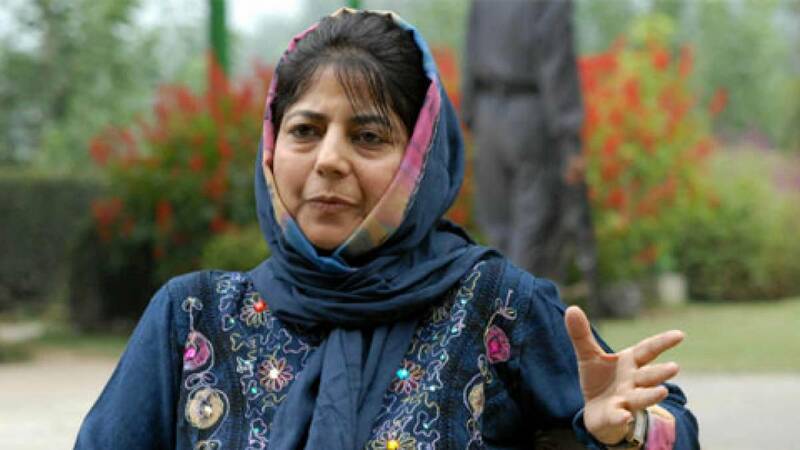 After the death of her father, who headed PDP-BJP coalition government for 10 months from March 1, last year until his death on January 7, this year, Mehbooba had been reluctant to take over as CM of the PDP-BJP coalition government. Final word over formation of government came in on March 22 after Prime Minister Narendra Modi held a meeting with Mehbooba Mufti. She had described her meeting with the PM as positive, saying she was satisfied.